WOW, this stuff tastes amazing. I'd probably have it a bit more orange'y but other than that I give it a huge thumbs up. I do wish this company made this WITHOUT the Creatine though... didn't realize this when I bought it I was so happy to find something with protein and orange together. I haven't used this product long enough to rate it as to effectiveness, however, it is **** delicious. I look forward to taking it and even find myself doing cardio just to use as an excuse to take it after, since I am only allotted so many carbs per day unless I burn them. The ingredient profile looks great and I had no digestive issues with it. I would have been extremely overjoyed had they added some extra leucine to the profile in lieu of arginine. I got it at BOGO and had a % off code as well. Definitely a great buy. Tastes great! I love having my carbs and protein from one source! I look forward to drinking it after my workout. Great taste. Mixes easily. 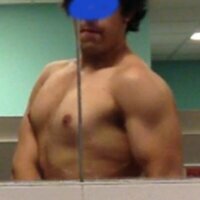 1:1 protein to carb ratio. SNAC for the win. SNAC did a great job with this product just like they do with all of their products. This is one of the best post workout formulas I have used and will continue to use. Vanilla or Orange are neither of my immediate first picks for flavors but both are outstanding. Increased recovery is without a doubt noticeable while taking this. Awesome taste and great Mixability! Definitely felt good after a workout and my shake of this, great nutrient profile! SNAC puts out very solid products and this is no different! Whey Protein Isolate (milk), Dextrose, Natural and Artificial orange flavor, Cellulose Gum, Carrageen, Xanthan Gum, Sucralose, Soy Lecithin. Manufactured in a plant that processes milk, wheat, soy, and eggs. 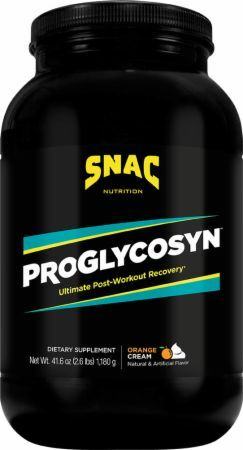 Directions For Proglycosyn: Add two scoops of powder to 8 ounces of liquid and mix well. Use post-workout only. Warnings: Consult a physician before use if you have been treated for or diagnosed with, or have a family history of, any medical condition(s). Keep out of reach of children.